Accessrx.com Reviews – Are they legit? 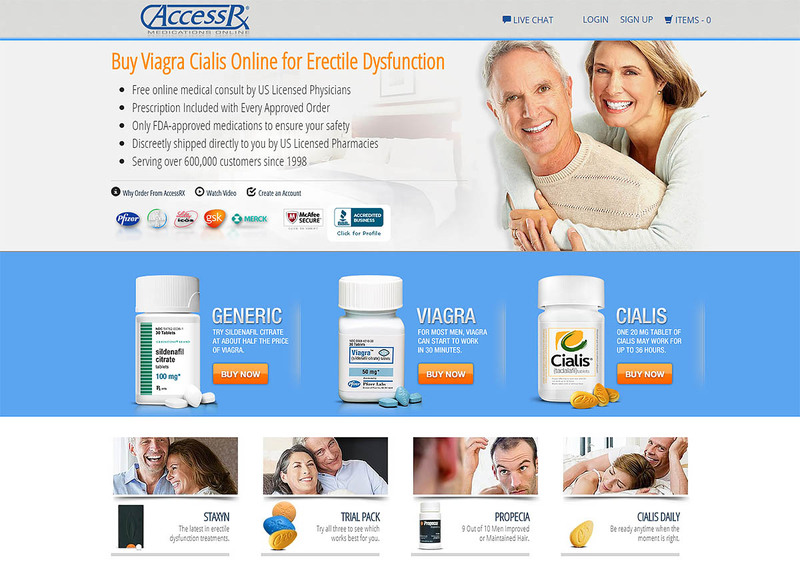 Accessrx.com is an online drugstore with a reputable track record. The pharmacy has been in existence since 1998, serving thousands of clients across the globe. In an era where the majority of online pharmacies tend to be questionable, this pharmacy stands out from the rest by offering genuine services. Here is a comprehensive review about this online pharmacy. This domain name was established and registered in November 1998, meaning that the pharmacy has been in operation for close to two decades. Unlike most online pharmacies that tend to be scanty with information, the owner of this firm is proud to disclose his identity as Rei Carvalho. 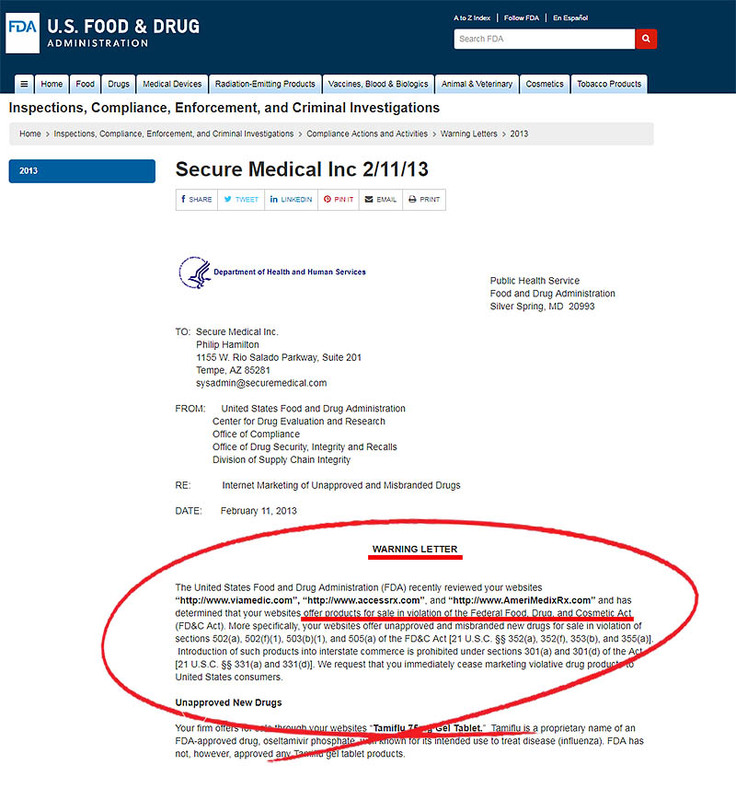 The organization that runs this online drugstore is identified as “SecureMedical Inc”. 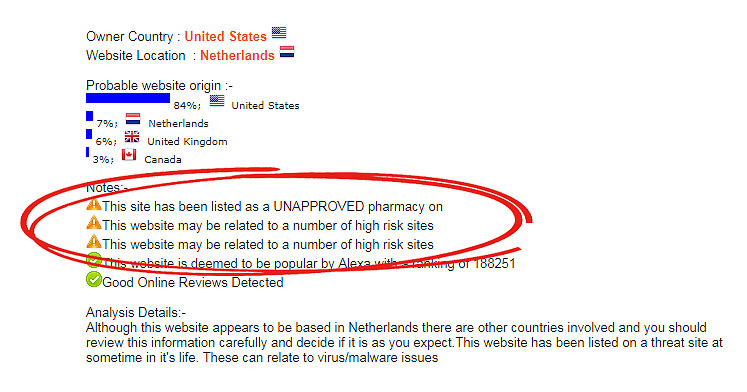 A scam analysis using scamadviser.com shows that this pharmacy has a very high trust rating, and is very popular with clients who prefer buying medications online. 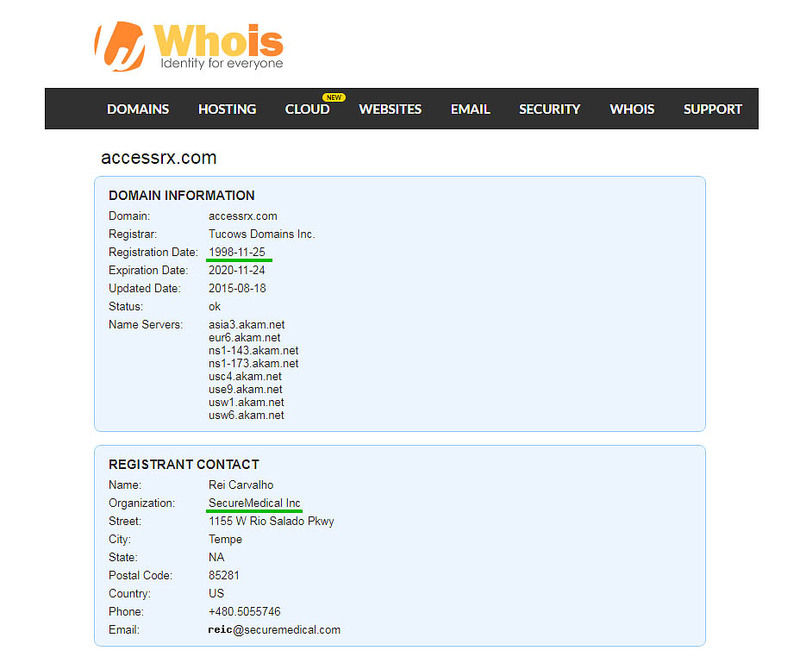 Further research reveals that the owner of the site could be in the United States, while the domain servers could be located in the Netherlands. Despite the positive rating, the domain is also associated with high risk sites and is unapproved by several regulatory agencies. Nevertheless, this is not a major concern for many people considering the high trust rating bestowed upon this site. The web platform, including the design and layout of the website is highly professional. Contrary to what other online pharmacies have to offer, this website does not bombard visitors with unnecessary information such as a long list of drugs or health products. It is easy to navigate through the menus and clients have the option to create an account with the pharmacy. 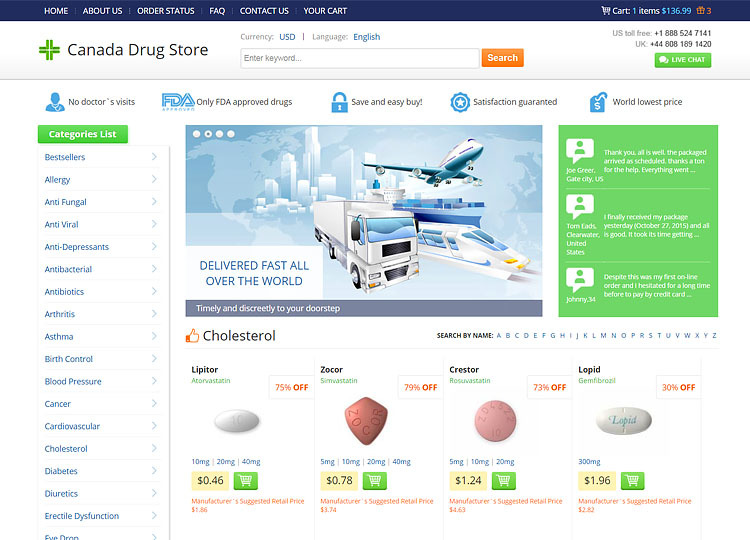 Although the pharmacy is regarded as an online drugstore, it does not operate on a 24/7 basis. Business hours start from 5.30 am and end at 8.00 pm, depending on the day of the week. 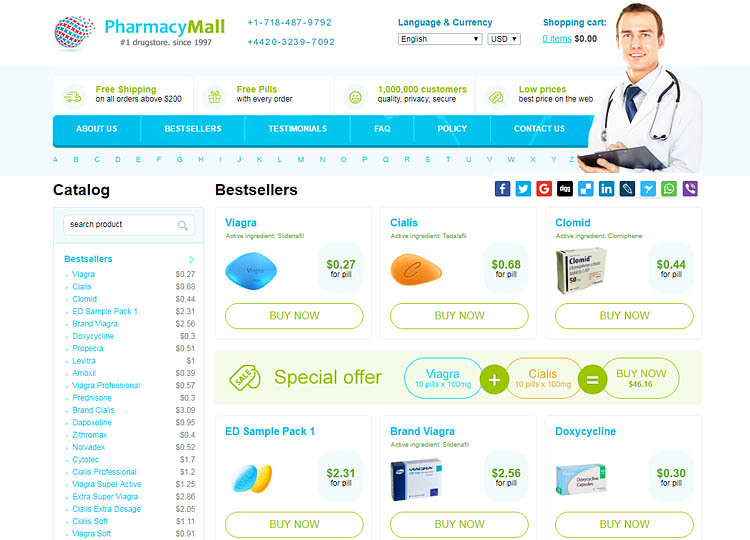 In spite of the close correlation of the above-mentioned pharmacies, their web designs and layouts are not similar. 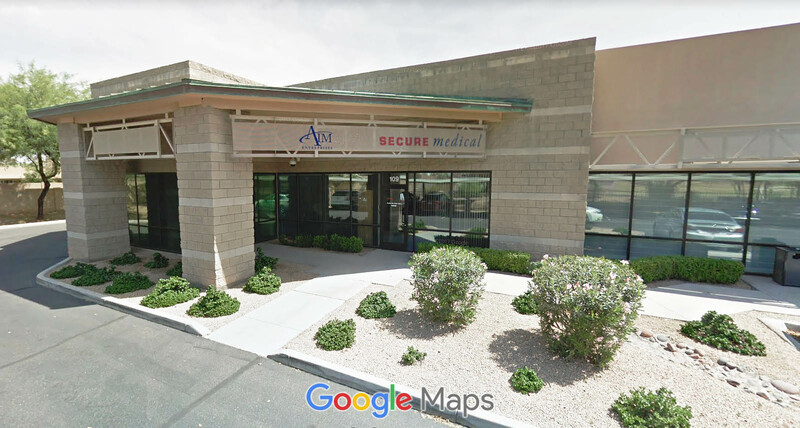 These suggest that the pharmacies are somewhat independent from each other, but Secure Medical Inc remains the parent company. This pharmacy has a genuine business license that we established as valid. This means that it is a legitimate online pharmacy operating within the confines of the law. However, our investigations reveal that the pharmacy periodically violates federal rules and regulations by offering unapproved and misbranded drugs. We managed to access a copy of a warning letter from the U.S. Foods and Drugs Administration (FDA) that showed that this pharmacy violated the Federal Food, Drug and Cosmetic Act in February 2013. 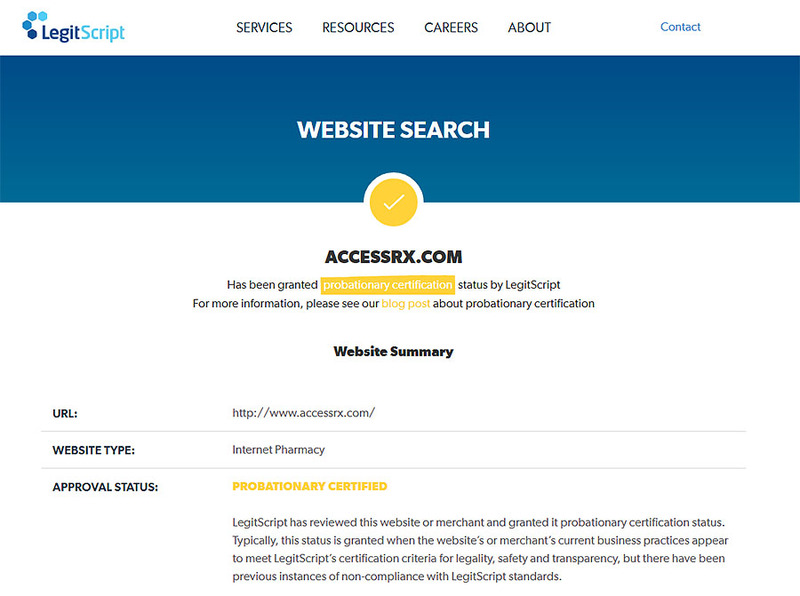 Further investigations on legitscript.com show that the pharmacy has been granted probationary certification, considering the fact that the company has a history of non-compliance with LegitScript verification standards. Nevertheless, the business practices of this pharmacy are genuine and the company will be approved once the probation period elapses. The pharmacy also boasts of an A+ Better Business Bureau rating with only a single negative customer review. From this info, we can establish that the pharmacy has very few complaints regarding its legitimacy or business practices. According to the drugstore, all medications are FDA-approved to ensure maximum safety. The pharmacy works with world-renowned drugs manufacturers such as GlaxoSmithKline, Bayer AG and Pfizer to provide high quality branded and generic drugs. As suggested by the pharmacy’s website, the most popular medications seem to be sexual health products such as Viagra, Cialis, Stendra, Staxyn and ED Trial Packs. All medications are sourced from the United States, European Union, and India. The warehouses of the pharmacy are located in the United States. To access RX medications, all clients must submit a valid prescription from a certified doctor or medical facility. The site offers free medical consultation by licensed physicians from the U.S. These physicians work round the clock with clients via private video or audio consultations to establish if a patient qualifies for a medical prescription. Upon approval, the physician submits the prescription to a VIPPS certified US pharmacy for the dispensation of the ordered medications. The prices of medications are very expensive compared to what other reputable online pharmacies are offering. 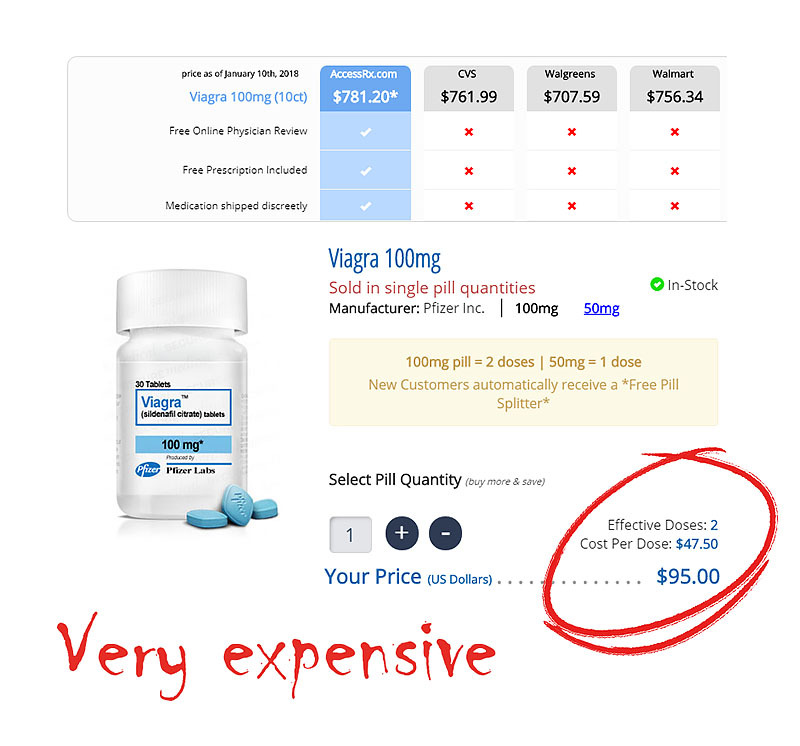 A dose of Viagra (50mg) goes for $47.50, which is way above the normal market prices. 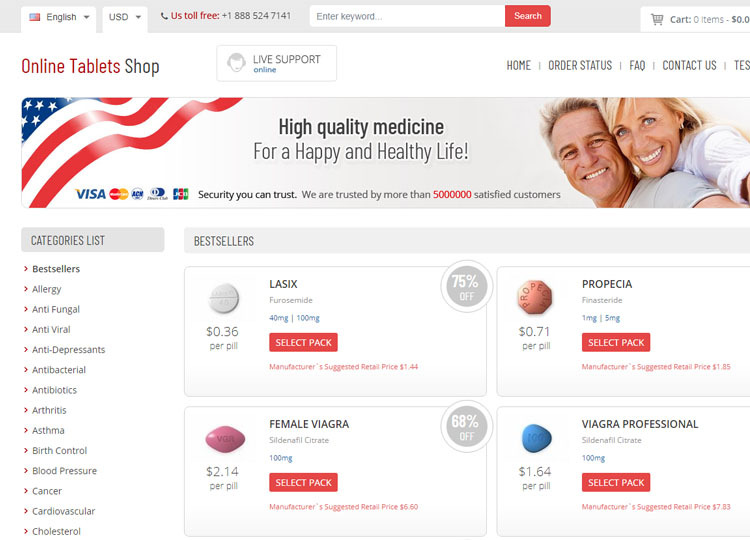 On average, most genuine online pharmacies charge $5.00 for a dose of Viagra. Despite the high price tags, the pharmacy provides special offers and discounts of up to 7% (Price7) off with every purchase. 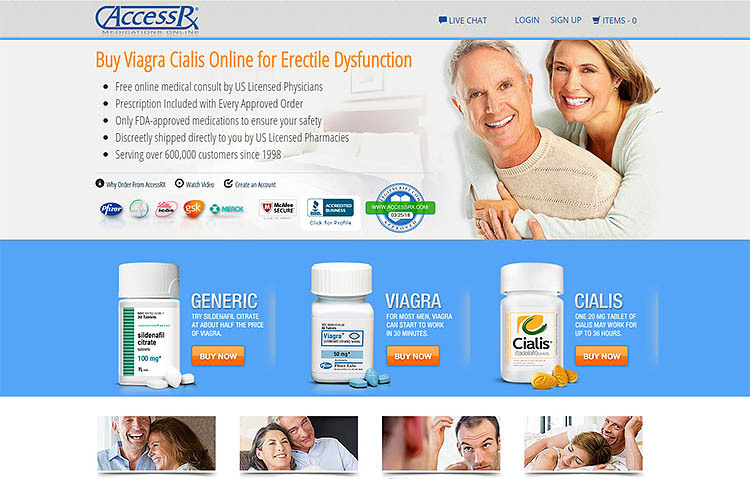 The Accessrx.com coupon codes are eligible with every purchase of erectile dysfunction products and trial packages. Customers get 7% off on ED drugs (ED7) and Trial packages (Trial7). The delivery times depend on the destination address, but do not take more than 3 weeks. The standard shipping cost is $20, which is considered relatively expensive by many customers, considering the fact that the shipping services does not allow for tracking or checking order status. This pharmacy offers help desk services via email, phone and Live Chat. Despite the numerous support avenues, some of the clients are dissatisfied with what the pharmacy has to offer as far as customer care is concerned. According to some clients, the customer support representatives are extremely rude and unprofessional. Customer reviews about this pharmacy vary from positive to negative. The pharmacy also has some neutral reviews from different quarters. Despite the periodic violation of federal laws and FDA terms of service, this pharmacy remains 100% legitimate. The company that runs this pharmacy has a high reputation among customers. The fact that the company is operating with a valid license is proof enough that this pharmacy has nothing to hide. 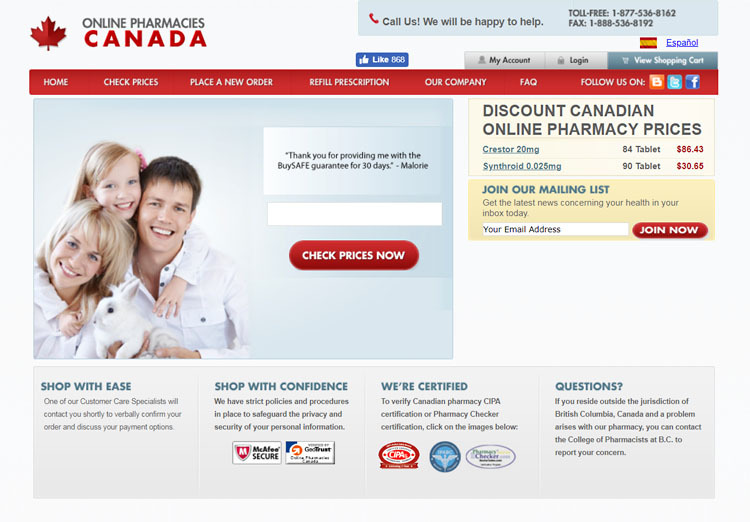 In spite of the high medication prices, this pharmacy remains the preferred choice for many online clients. For this reason, the pharmacy deserves a 4.2 out 5-star rating.